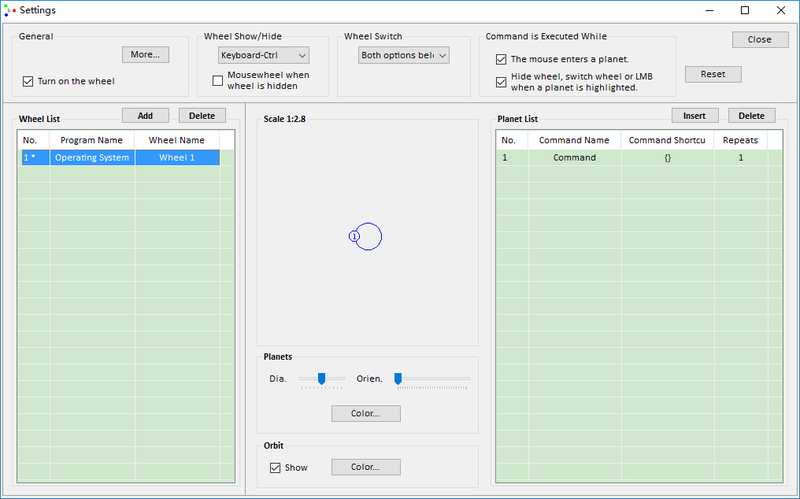 PWS allows you to quickly switch wheels via mouse wheel or keyboard arrow keys. The wheel is switched among different wheels in the same program, and among different programs while the “Ctrl” key is down. This program phones home every 3-4 hours and, if internet is not on, deregisters itself. Had to delete it due to bad behavior. Our apologies. We’re improving the registration process. Future version will be usable offline. The program is updated to version 1.2.0, and now is usable off-line after on-line registration.